Amanda Kellock’s recommendation: Neil Freeman did amazing work in terms of making the First Folio accessible to contemporary theatre-makers. 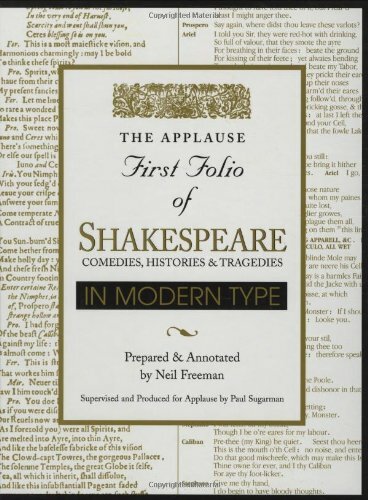 The Applause First Folio versions of the texts are often my favourites. 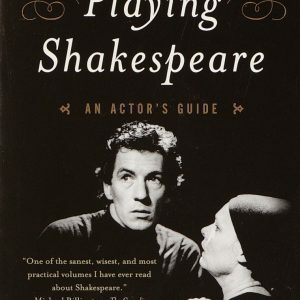 Given the many modern editions of Shakespeare’s plays, it is easy to forget that the text is not fixed and that an examination of the original folio still reveals many features of importance and profit both to the scholar and the actor. Several facsimiles are available, including those of Charlton Hinman and Doug Moston. But because of the difficulties of photographic reproduction, coupled with the idiosyncrasies of the 1623 typeface, these tend to be more curiosities than interpretative tools to all but the most diligent. To rectify this situation, Freeman, a trained actor, director, and professor of acting, directing, and writing (Univ. 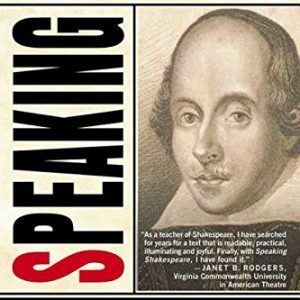 of British Columbia), has produced a modern type version of the original, which makes the textual features of the First Folio easily accessible. 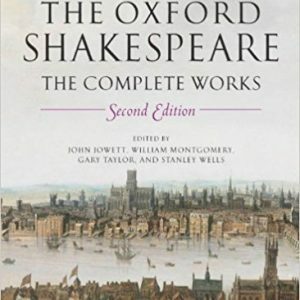 The volume presents all 36 plays, to which Freeman adds introductions and endnotes as well as a valuable introduction to the history of the First Folio and textual notes. $37.55 Buy it on amazon! 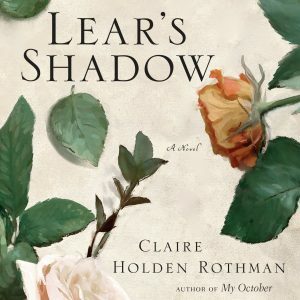 $20.60 Buy it on amazon! $20.74 Buy it on amazon! $19.71 Buy it on amazon!